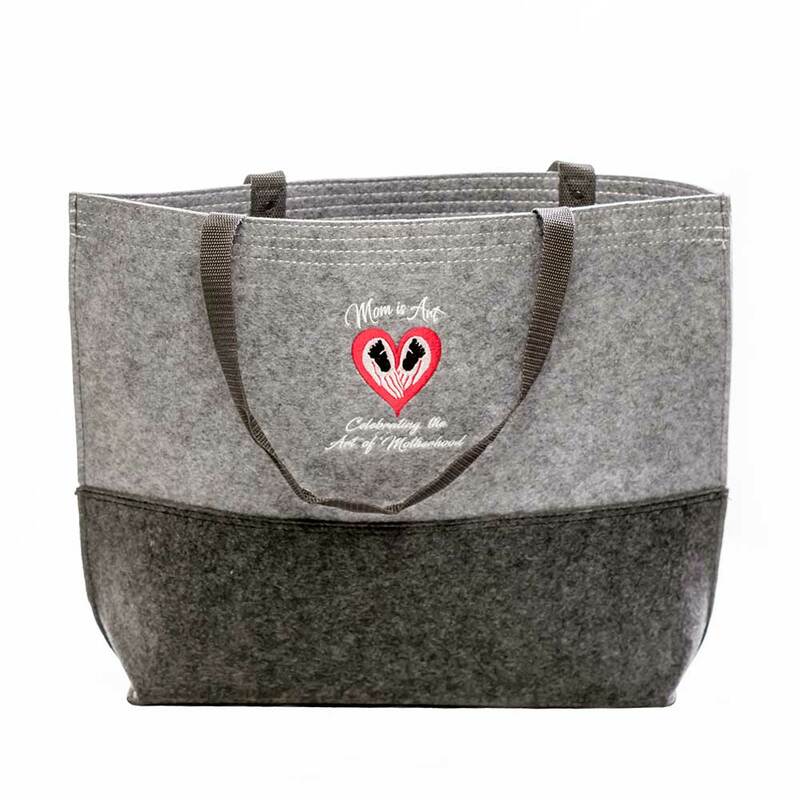 The colorblock, charcoal and grey, felt tote features riveted web handles. 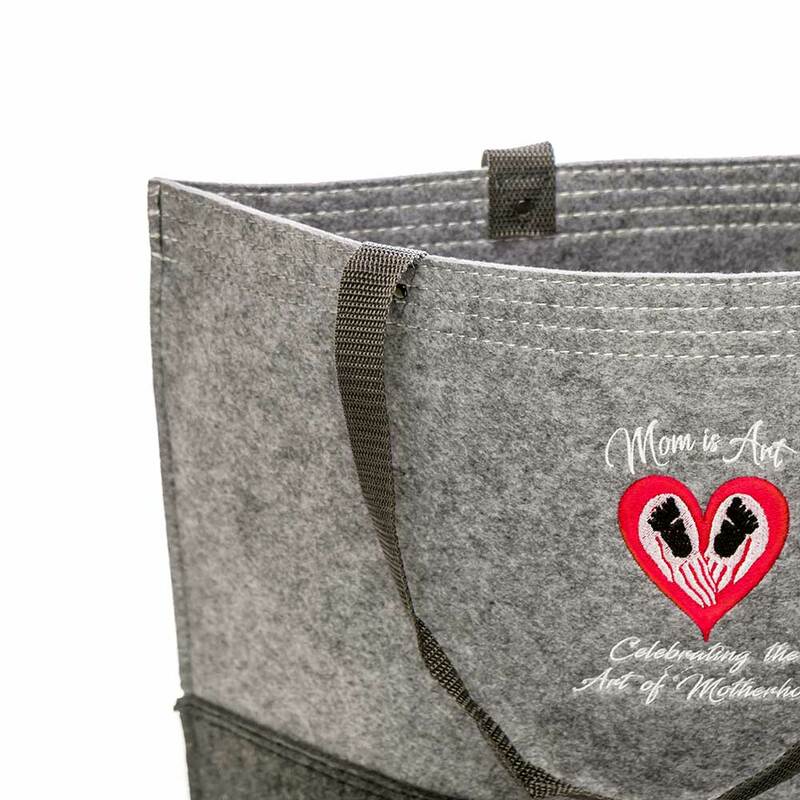 It can handle a mom’s full day on the go at a spacious 14” x 17” x 5”. 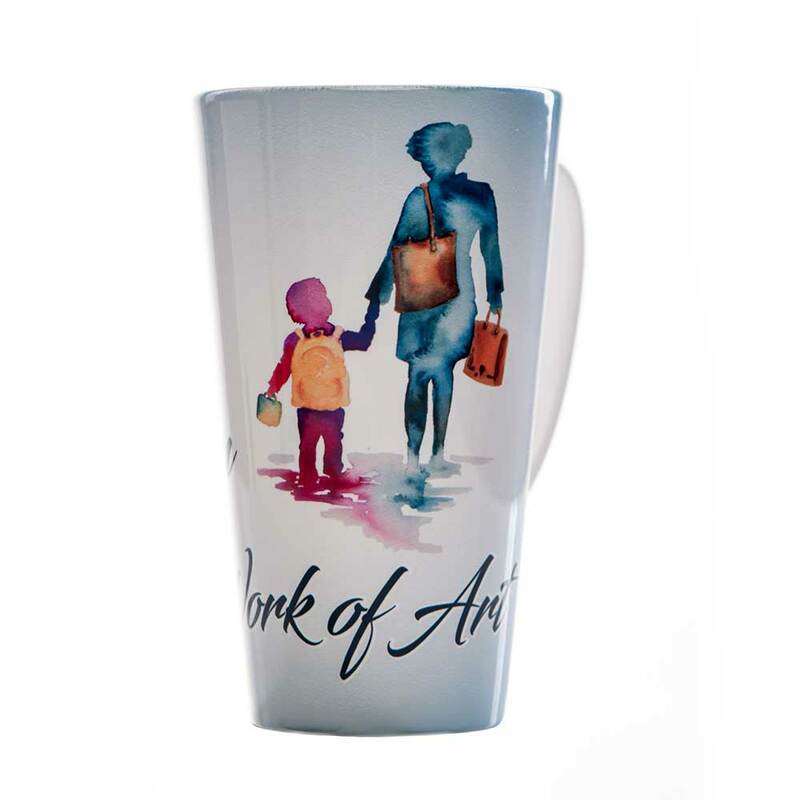 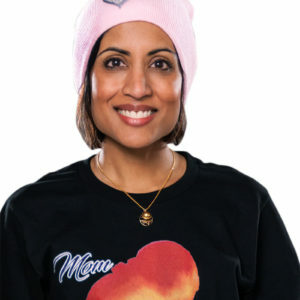 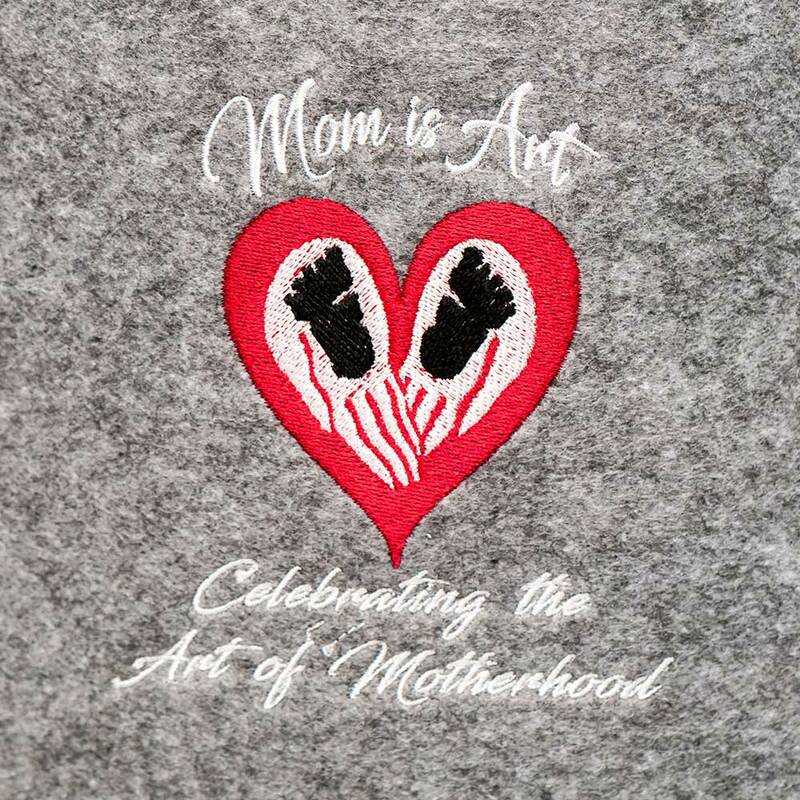 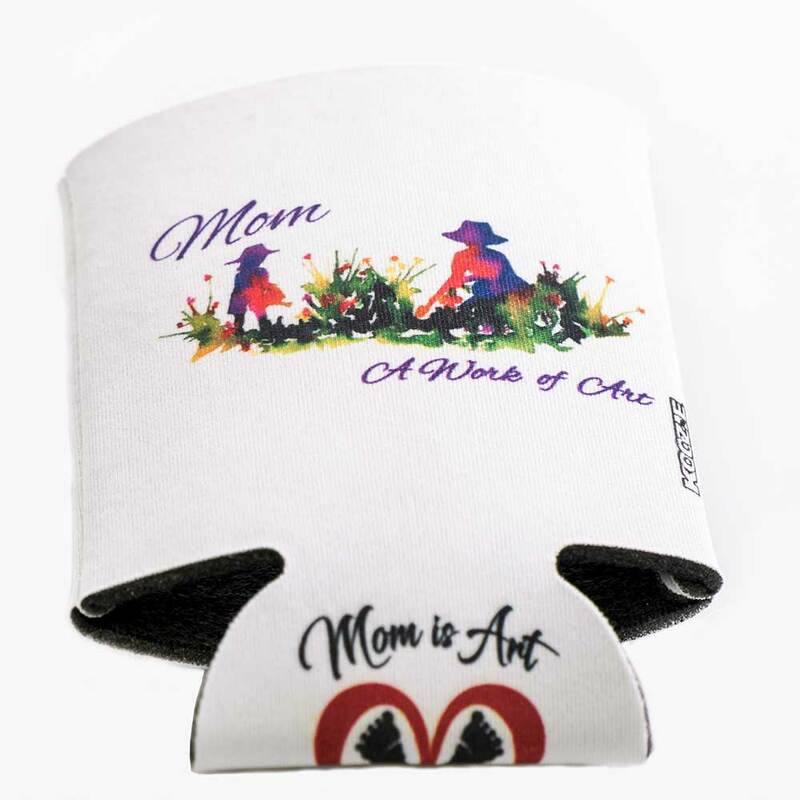 All day long, mom will be “Celebrating the Art of Motherhood” and proudly displaying the forever love of the Mom is Art embroidered logo.